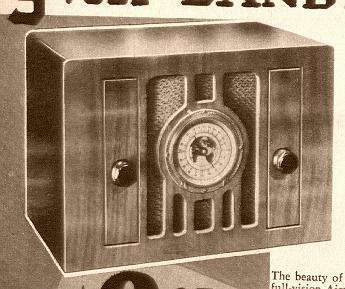 from the 1936 Acratone Federated Purchaser, Inc catalog. 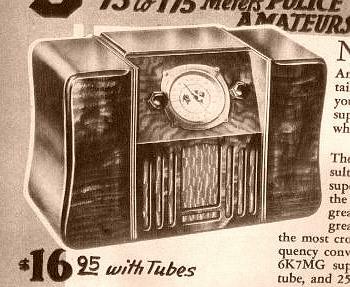 A 4 tube Acratone AC/DC radio, Model 25-B. TRF. Uses 78, 6C6, 38 and 76 tubes. 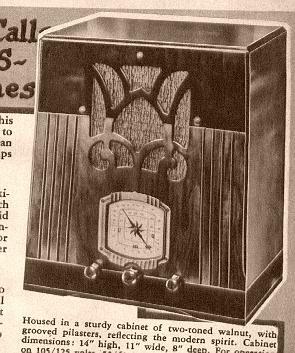 A 5 tube "Dandy" midget Acratone AC/DC radio, Model 5-B. One of these tubes is a ballast, a 50X3. Other tubes: 6D6, 6C6, 43, and 25Z5. TRF. Model 6-B. An AC/DC superhet. Uses "modern tubes" 6A7, 6D6, 76, 43, and 25Z5. An early AA5. 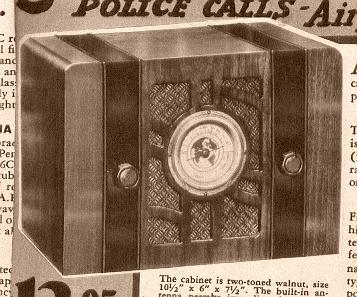 A 5 tube Acratone AC/DC radio, Model 13-B. A superhet. Uses "the new metal tubes", 6A8MG, 6K7MG, 6J7MG, 43, and 25Z5MG. AC/DC, an early AA5. Apparently no ballast tube. Sensitivity claimed to be one microvolt per meter with the metal tubes. Note that back in 1936, merchants used that "$X - a few cents" pricing scheme we see so much today. For an extra dollar, you could get it for 220V. 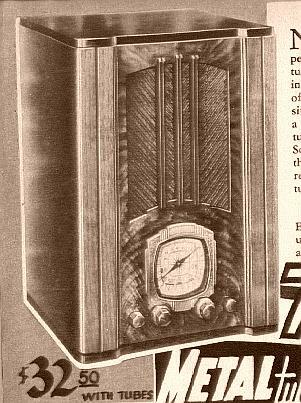 A 6 tube superhet Acratone AC/DC radio, Model 14-B. One of these tubes is a "thermonic line voltage regulator", a 340. Other tubes: 6A7, 6D6, 75, 43, and 25Z5. A 7 tube Acratone AC 3 band MW and SW radio, Model 11-B. A superhet. Uses 5 "metal tubes", 6A8, 6K7, 6H6, glass 6A6, a pair of 6F6's in push-pull, and a glass 80. Has "advanced automatic volume control". 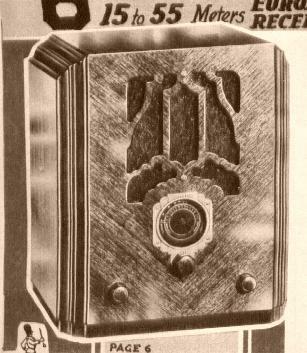 A "radio robot". 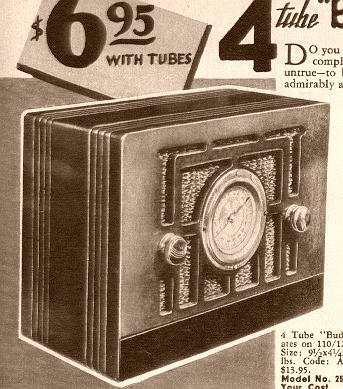 You could also get the chassis, speaker, and tubes only, or get it in a console.